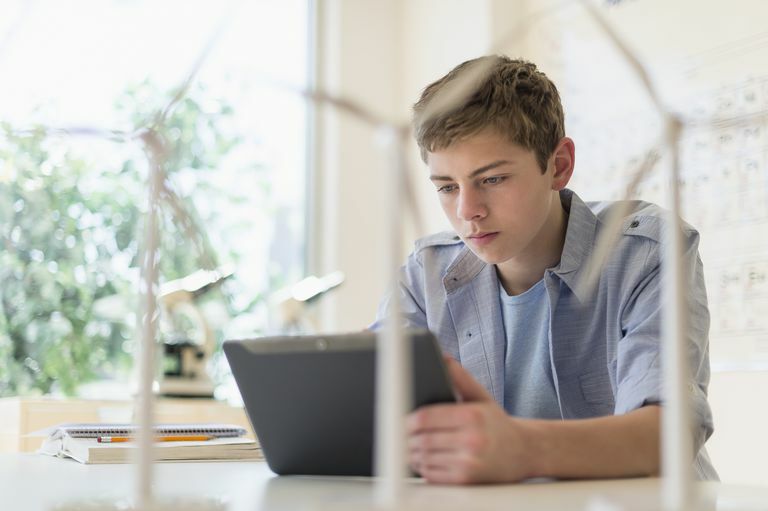 What Makes a Tween a Good Student? What Makes Someone a Good Student? All parents want their children to do their best in school and to persevere despite academic setbacks. But some students are better academically than others. What characteristics separate a good student from a mediocre student? To best answer this question, we need to look at the students' personality more than at their in-born abilities. Below are the qualities that many good students have. A good student usually demonstrates a number of characteristics. In-born characteristics like intelligence and cognitive skills do play a role in a child's school success; a child must be able to learn in order to achieve academic achievement. But most students in any given classroom have average - and similar - abilities. Still, some students stand out more than others, getting better grades and grasping material more deeply. Why? Exposure to material, parental involvement, and contextual factors like the child's school and teachers are important. But psychologists and teachers are increasingly realizing how central a child's personality is to academic success. In particular, an aspect of personality called academic resilience may be key to your tween's success in school. Academic resilience is a more specific version of the larger concept of resilience. Academic resilience refers to a student's willingness to persevere at academic tasks even when they are frustrated. In other words, academically resilient children do not give up, no matter what faces them. Let's say that 10-year-olds Roger and Tory have nearly identical math skill sets and intellectual aptitude. Roger, however, has high academic resilience while Tory has low academic resilience. When their teacher introduces a challenging new type of math problem, they probably both experience frustration and make similar errors. Due to his personality, though, Roger is much more likely than Tory to fight to master the new math skill. Why Does Academic Resilience Matter? Learning anything is an inherently frustrating process, for adults and children. How can it not be? If we knew it all already, we would not be "learning"! Therefore, having a personality that is more likely to plow on despite frustrations - that is, being academically resilient - is a major factor in academic success and in helping a child become a good student. Using the previous example, Roger's success at the math skill is not based on some innate "intelligence" or "talent" with math - as we said, he and Tory are equally skilled - but rather occurs because he has greater fortitude to learn the skill, whatever it takes. As a result, Roger will be more likely to get strong grades and to be considered a "good student" than Tory. Tory may eventually master the new skill, but it will probably take him much longer. In addition, as academic challenges increase in later grades, he may simply give up trying. While personality is partially in-born, it can be greatly influenced by experience. Therefore, you can promote academic resilience in your tween and help him become a good student by encouraging him or her to not give up when hard times arise. You can also model academically resilient behavior by demonstrating how you do not give up when you face intellectual challenges - like trying to find an error in your check register, or mastering a new computer operating system at home or at work. Face your own frustrations with a laid back attitude, and let your tween be an active part of your journey through frustration to mastery. By watching you be persistent, they'll be more likely to act the same way themselves, and you'll set the stage for success in school and elsewhere. McTigue, Erin M., Washburn, Erin K., & Liew, Jeffrey. Academic Resilience and Reading: Building Successful Readers. The Reading Teacher. 2009. 62: 422-432.